Batty, batty, batty! 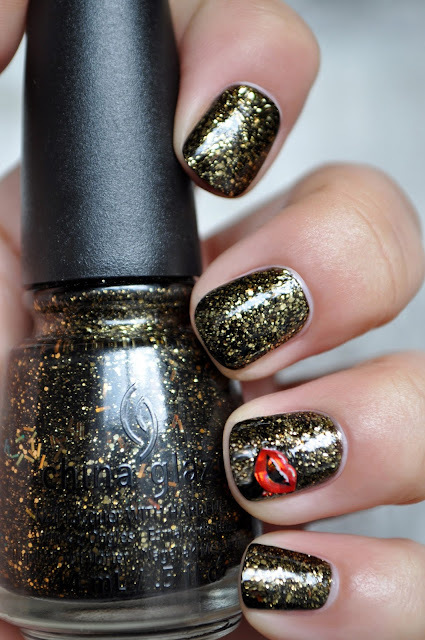 From China Glaze's 2013 Monster's Ball Collection, this year's Halloween mani is Bat My Eyes. 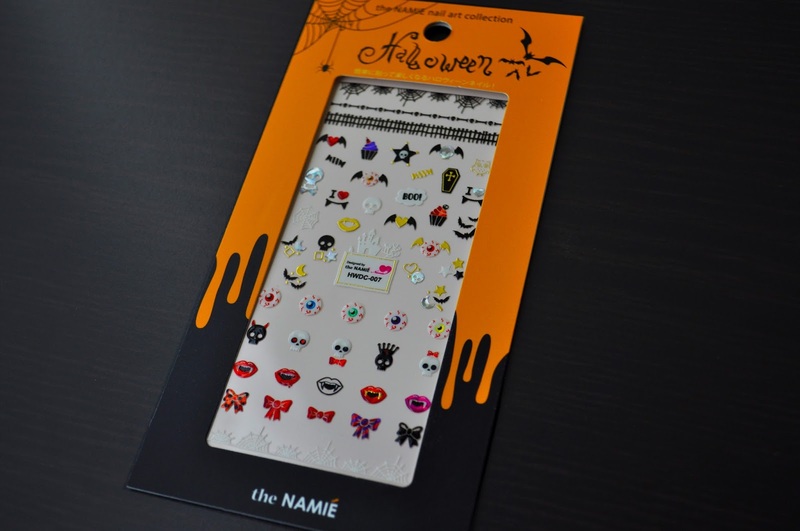 Got some 3D Halloween nail stickers from loft. I hoped my nail would be long enough by Halloween (I had to cut my nails after chipping the nail of my finger finger, which broke again the morning of All Hallow's Eve), as I hate how glitter polishes look on short nails. Bat My Eyes is a murky, black jelly base, laden with various shapes and sizes of tarnished gold glitter, as well as some sparse gold and coppery-orange bar glitter. Two coats covers the nails completely. The finish is a little dull; thus, a top coat is required to resurrect that enthralling sparkle. Looking to match the polish, I went with the red lips with exposed fangs with trickling blood sticker. What did you wear on your nails this Halloween?